Most expressions in natural language are vague. But what is the best semantic treatment of terms like 'heap', 'red' and 'child'? And what is the logic of arguments involving this kind of vague expression? These questions are receiving increasing philosophical attention, and in this book, first published in 2000, Rosanna Keefe explores the questions of what we should want from an account of vagueness and how we should assess rival theories. Her discussion ranges widely and comprehensively over the main theories of vagueness and their supporting arguments, and she offers a powerful and original defence of a form of supervaluationism, a theory that requires almost no deviation from standard logic yet can accommodate the lack of sharp boundaries to vague predicates and deal with the paradoxes of vagueness in a methodologically satisfying way. Her study will be of particular interest to readers in philosophy of language and of mind, philosophical logic, epistemology and metaphysics. 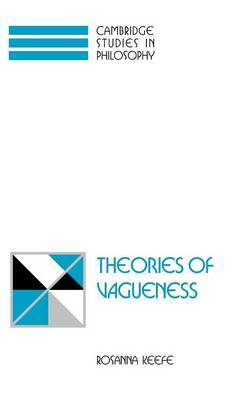 Buy Theories of Vagueness by Rosanna Keefe from Australia's Online Independent Bookstore, Boomerang Books.